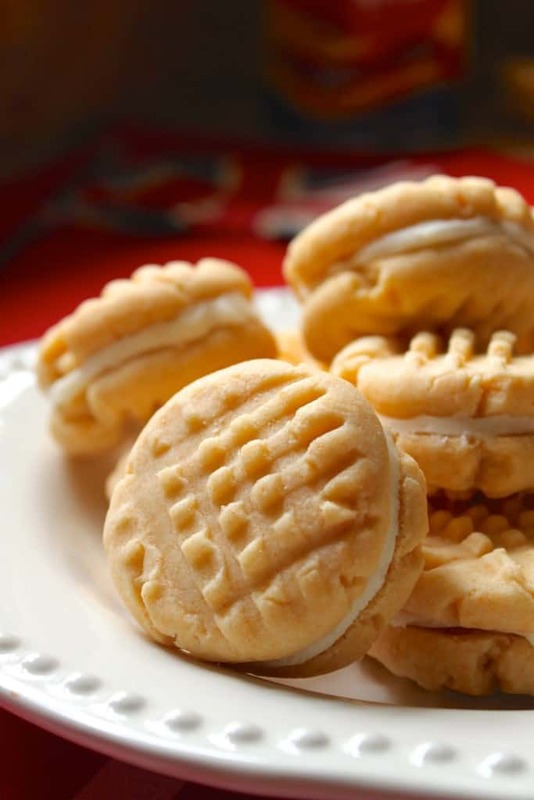 Homemade Custard Creams are so much better than the store-bought variety. These classic British biscuits literally melt in your mouth. 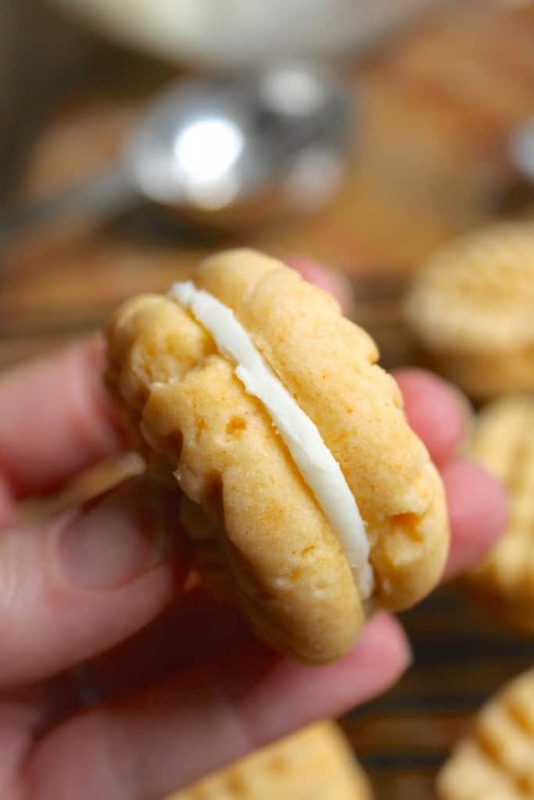 These Custard Creams are the most delicious, “melt in your mouth” cookie you’ll probably ever have! 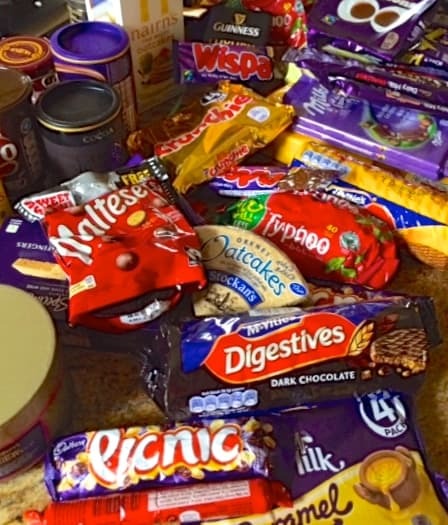 It’s pretty amazing to me, how almost every single Brit I know (especially ex-pats) become ecstatic over certain types of iconic British food, including savories, sweets, candy, and yes, even junk food. In fact, there are two Facebook pages that I follow which are devoted solely to British food: Quite Peckish and Fat Englishman. One of these pages will post a photo like the one below, and the frenzied comments begin with “Oh, I miss my ___ so much!” or “I’d kill for a ____!” and proclamations of adoration for one candy bar or another. 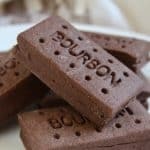 People will get into heated arguments about which type of biscuit (cookie) or beverage is better–it’s rather funny, actually, and it even happens on another British Facebook group I belong to which has nothing to do with food! 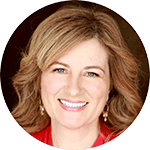 The reason I’m telling you this is that it seems that we are all extremely fond of the foods that we grew up with, and I think part of the reason is because they hold strong memories of our youth. For those of us now in the US, I must say, British chocolate is definitely a lot better than the average American candy bar, which isn’t even allowed to be considered real chocolate in some places (due to the lack of enough cocoa butter). 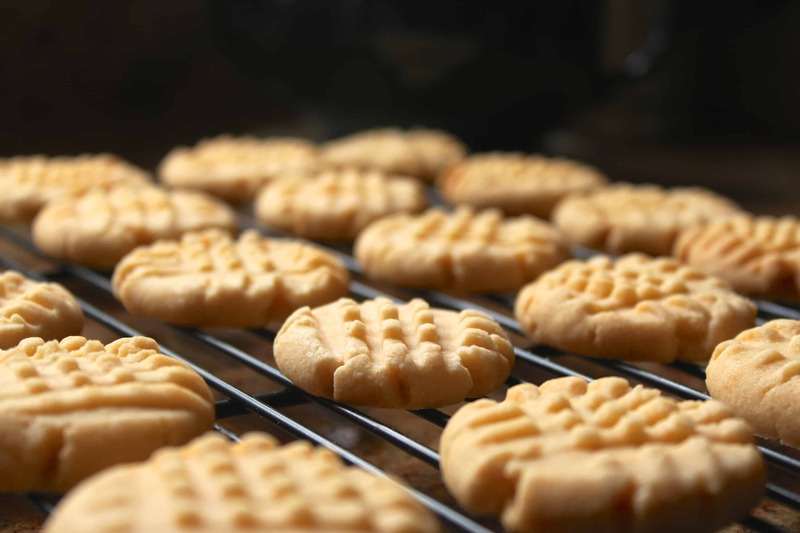 You could mention some iconic biscuits to an ex-pat Brit and almost bring them to tears, such as Jammy Dodgers, Penguin Bars, Bourbon Biscuits and Custard Creams, which mean absolutely nothing to most Americans or any non-Brit. 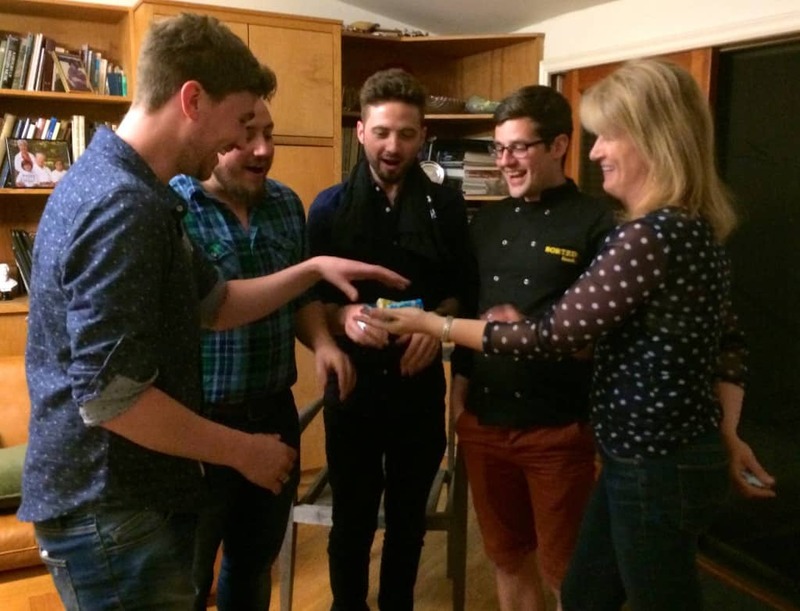 In fact, I recently met and had dinner with the SORTED Food guys (Mike, Jamie, Ben and Barry), four friends from England who have huge following their YouTube food channel and who were passing through LA on their #lostandhungry tour. A “rule” during their travels is that they can’t eat anything that isn’t suggested or given to them, so I knew they’d appreciate a “taste of home”, and surprised them with Penguin chocolate bars, and a packets of HP Sauce (a very popular British steak sauce which I happen to carry in my purse). 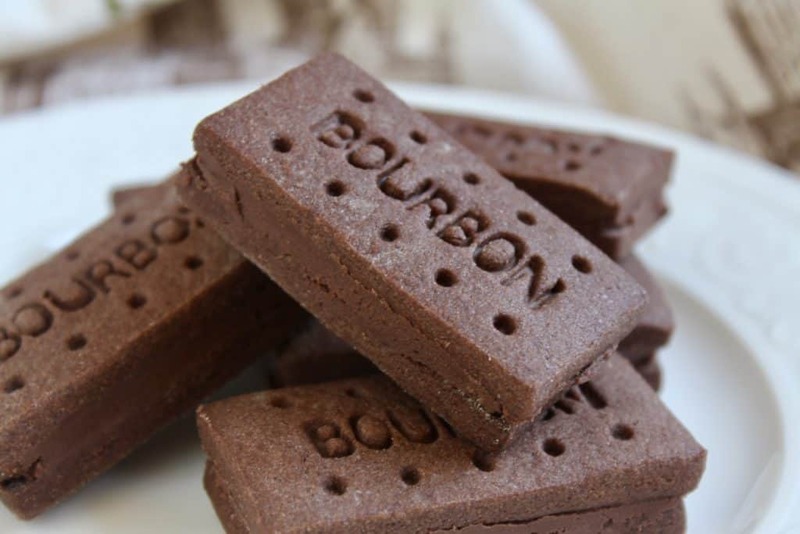 The Custard Cream’s partner in crime: Bourbon Biscuits! Mind you, they’d only left home a week before, but you can see the look of happiness and excitement on each of their faces as soon as they spotted the Penguin bars! 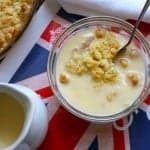 Given this phenomenon with British people, I’m going to give you a recipe which will allow you to surprise and delight any of your ex-pat friends from the UK, which is a recipe for Custard Creams. 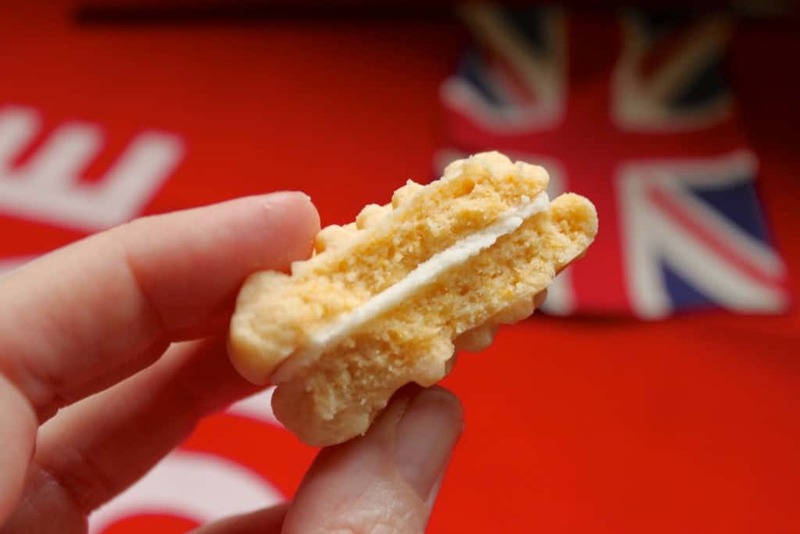 Do you need to be from the UK to appreciate these wonderful biscuits (cookies)? 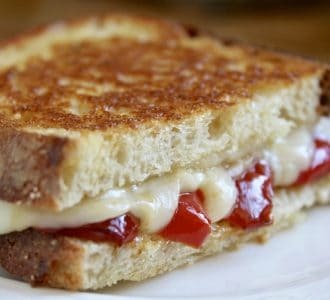 Absolutely not, because they are so crunchy, yet creamy (melt in your mouth) and deliciously tasty, you’ll be a fan after your very first bite. I bet you a Penguin bar, you will! *Edited 3/2017: my daughter knows me so well and bought me these biscuit cutters for Christmas! They work perfectly. Click here to buy them on Amazon. Sift the flour, custard powder and baking soda into a bowl and set aside. 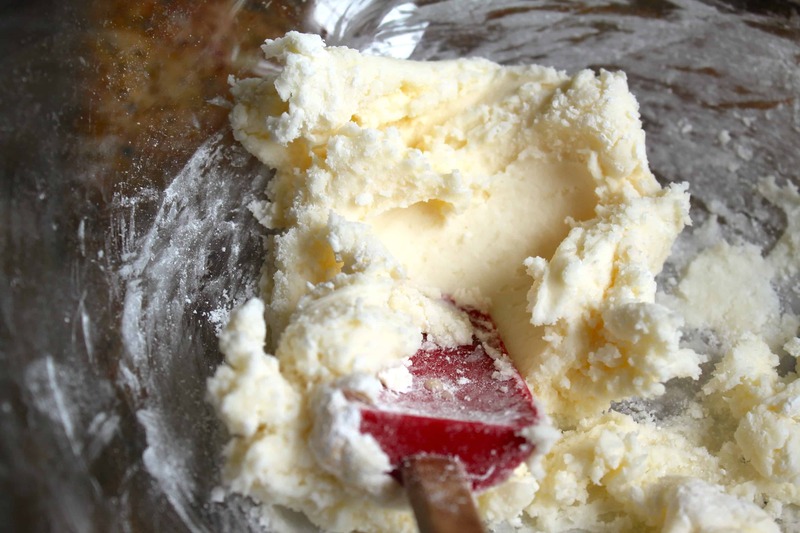 Cream the butter and sugar for about 3 minutes, then add the sifted flour, custard and soda and mix well. Form into rounds, about the size of a walnut. Place on a lined baking tray, leaving room to expand. Press with a fork into the top of each round, twice: once horizontally, and once vertically, to look like a cross-hatch. NOTE: if using the cookie cutters mentioned above, roll out the dough on a lightly floured surface, instead. 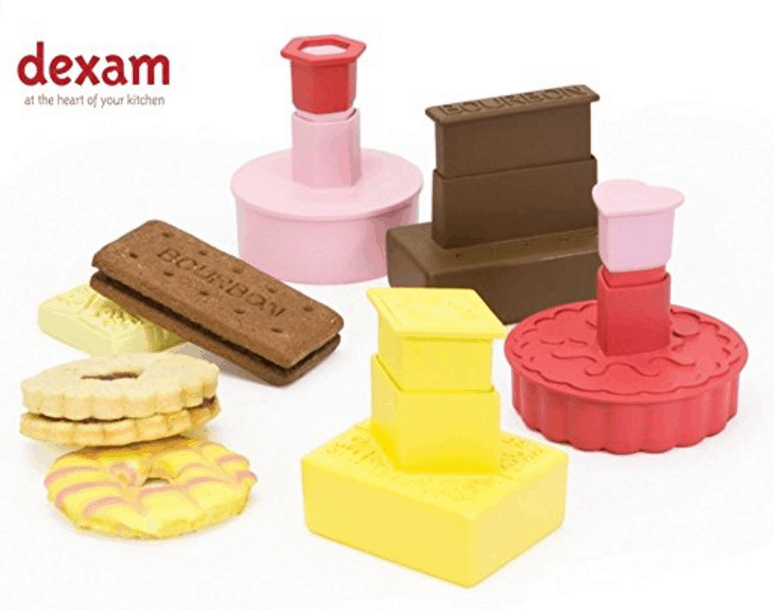 Press the Custard Cream cutter into the dough and gently remove and place on a baking tray. Bake near the middle of the oven for 15 to 18 minutes. The cutter style may only need 14 minutes or so, until the bottoms just begin to slightly color. Remove from tray and allow to cool completely on cooling rack. Mix the butter, powdered sugar and vanilla until creamy. Next, use the buttercream to sandwich two of the Custard Creams together. 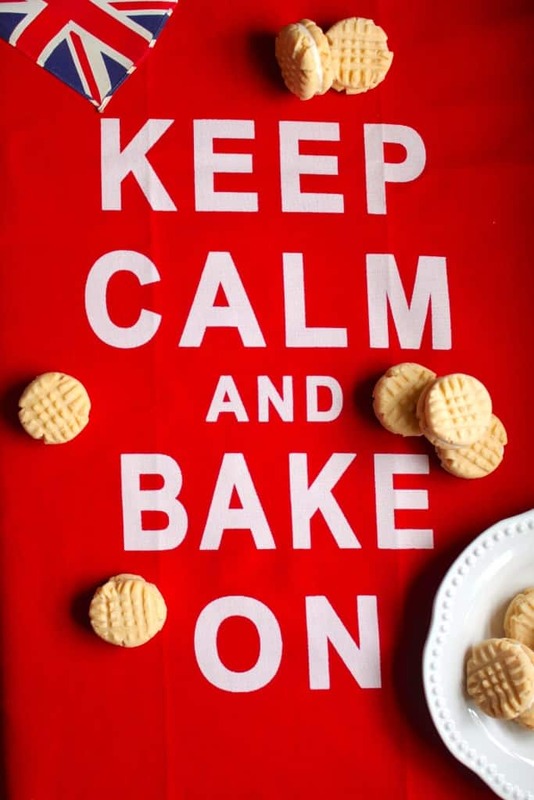 Repeat until all the biscuits have been filled. I like to match up evenly sized biscuits before starting to sandwich them together. You’ll love the buttery, custard flavor, and the crispiness of the biscuit. However, just wait until it melts in your mouth! Store in an airtight container for up to a week, but they won’t last that long! 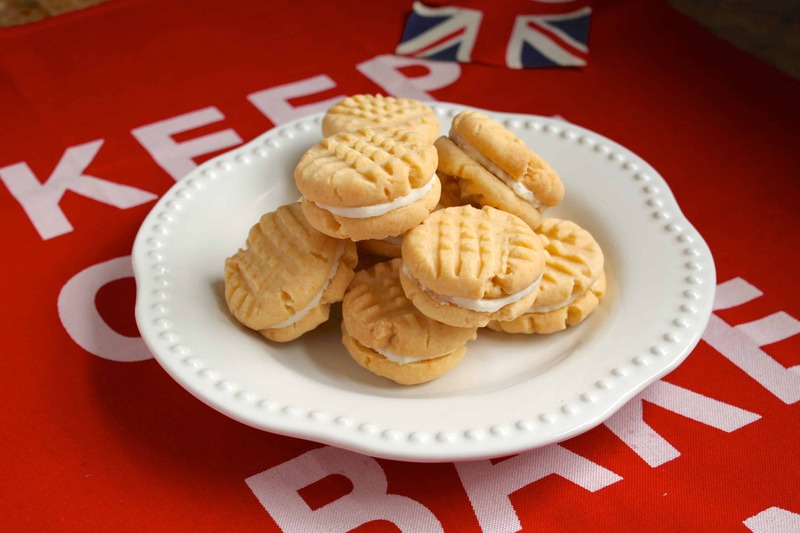 A traditional and classic British biscuit (cookie in the US) which melts in your mouth and just tastes so good! 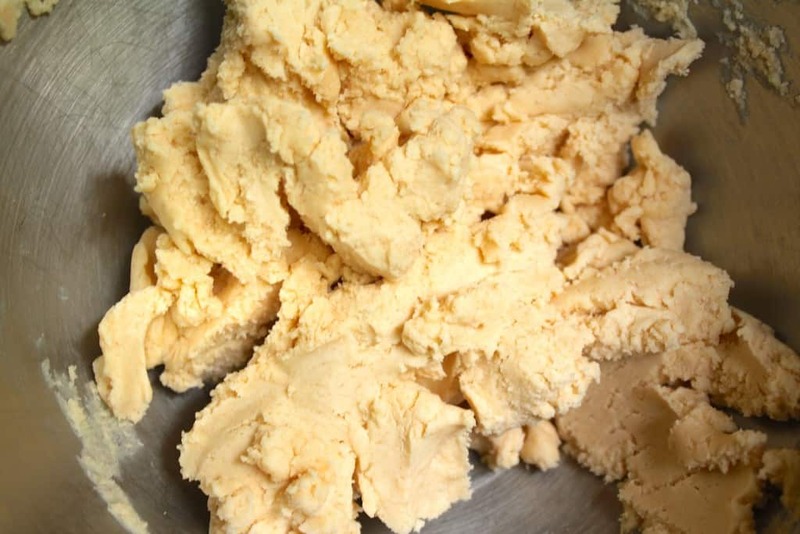 Cream the butter and sugar for about 3 minutes, then add the sifted flower, custard and soda and mix well. Form into rounds, about the size of a walnut and place on a lined baking tray, leaving room to expand. Press with a fork into the top of each round, twice: once horizontally, and once vertically, to look like a cross-hatch. Bake near the middle of the oven for 15 to 18 minutes until the bottoms just begin to slightly color. Remove from tray and allow to cool completely on cooling rack. 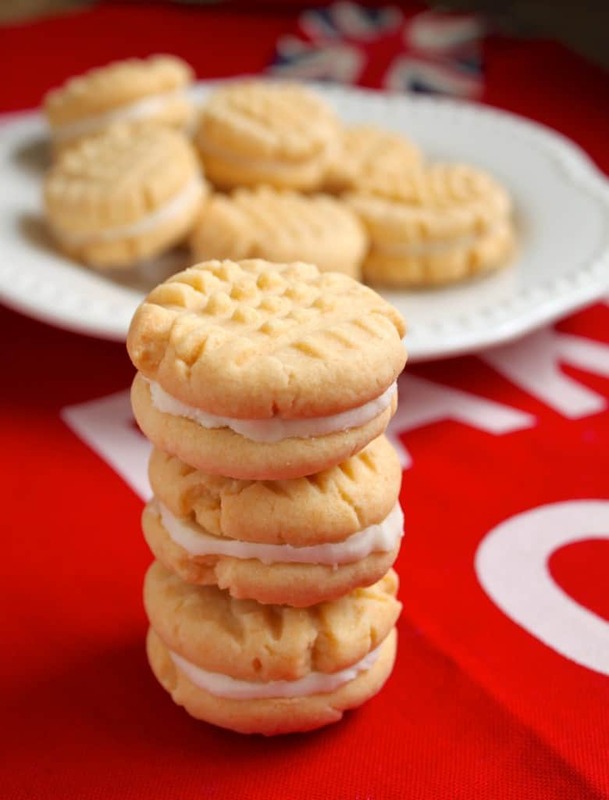 Then use the buttercream to sandwich two of the Custard Creams together. Repeat until all the biscuits have been filled. 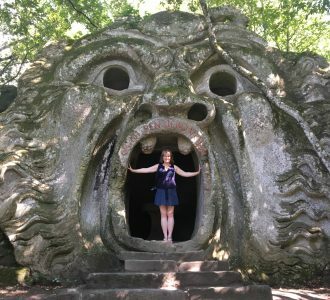 Don’t miss another post! Sign up for my FREE subscription below. 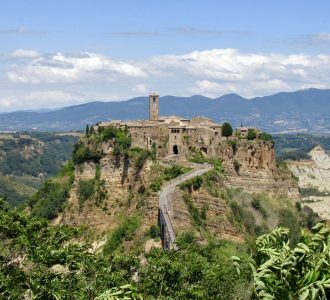 *Christina’s Cucina is a participant in the Amazon Services LLC Associates Program, an affiliate advertising program designed to provide a means for sites to earn advertising fees by advertising and linking to Amazon.com. Oh dear, no! Please don’t Matty. They definitely won’t turn out and I’d hate to see you be disappointed! :( Bird’s is available on Amazon if you can’t find it near you. Good luck! Made these today Christina and they were delicious! I say “were” because they are gone already! I used orange extract instead of vanilla as my husband loved orange creams when we lived in Scotland. I will definitely make these again………………….thanks for the recipe. Sorry I missed this, Carol! So happy you tried them and yum for the orange! I’ve never tried that before and will have to give it a go! Hi was wondering if this recipe is ok to double or triple?? I’d like to try them for a bake exchange!! You can definitely double the recipe and tripling should be fine, too. I’ve never made that many myself, but would love to be part of YOUR exchange! :) Enjoy, Danni! These are soooo good! 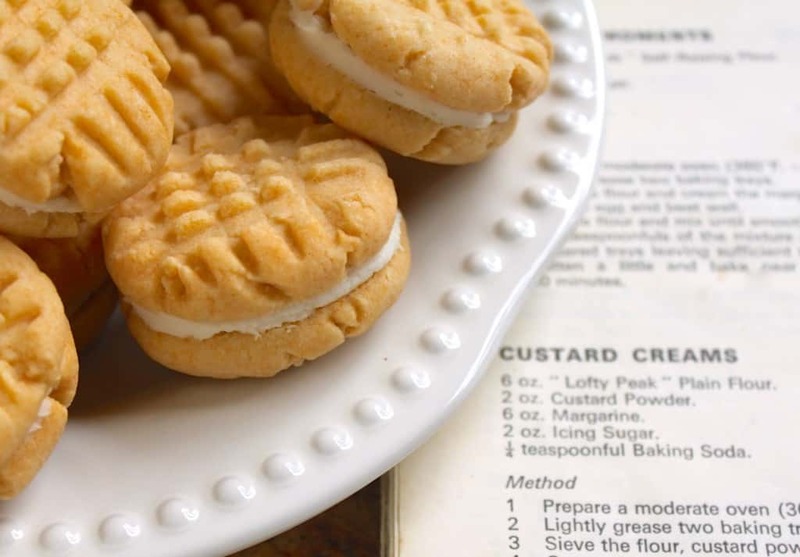 I had actually never eaten custard creams before when I found this recipe and really liked them. Then I went to Ireland and had my first ever storebought custard creams. They taste exactly the same. Taste, Consistency, I’m just blown away! Thanks for the recipe! Baking them in the oven right now, they smell delicious!!! I didn’t mention that! They DO smell fantastic, don’t they? Thanks, Nicole! Enjoy! Hi Sylvia, it’s bicarbonate of soda (baking soda). Btw, baking powder is half as strong as baking soda so you can use either one, as long as you convert the amount. Enjoy the biscuits! Oh sorry, Terri (delayed response)! You are a stellar employee and think you deserve a raise! haha! You’re welcome! Christina these cookies are sooooo beautiful! Making my mouth water!! YUM! Thank you, Heather! 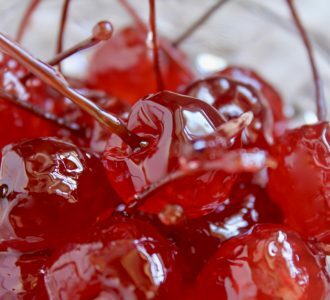 They are melt in your mouth, delicious! What if the mixtuee’s all dry like I tryed? What do you add in? I’m going to guess that you didn’t use a scale to weigh the ingredients, Lauren? If so, that’s the problem. I cannot stress the importance of using a scale in baking. It makes all the difference in the world. 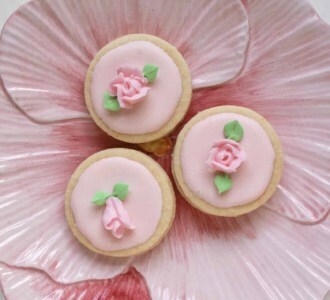 I’m actually considering removing cups from my site because the only time I get comments that things didn’t turn out, is when the ingredients weren’t weighed :( Scales are so inexpensive now, please give it a try by weighing and let me know how it goes. If you followed this recipe exactly, it couldn’t be dry, so something is awry. Let me know, thanks! 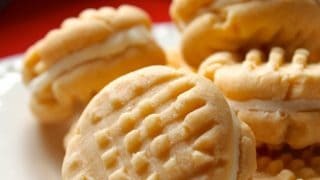 Saw this recipe a month or so ago and being a shortbread lover, I knew I had to buy Bird’s Custard powder. Made a double recipe to bring to a function today! I didn’t have a single one to take home! They are so wonderful and they do melt in your mouth. 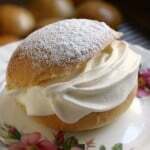 Thank you for sharing these scrumptious recipes. Hi Reena, no one’s cringing as much as wondering if this has EVER happened? haha! I have never frozen CC as they always get eaten, but here’s my suggestion. 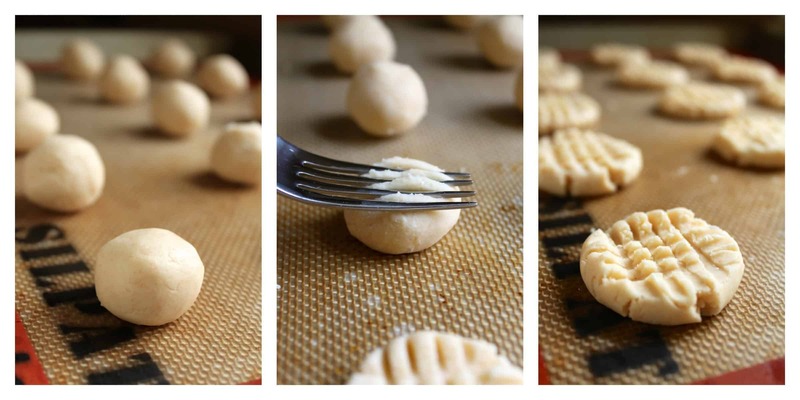 Freeze the biscuits without filling them. Fill them after you take them out as the buttercream will then be fresh. I’m sure they will freeze just fine. Good for you being so good about planning ahead! You won’t know how yummy these are until you bake them. Better than from the stores. I know, some of the things I see online is just brilliant! Thanks, Mi Mi! I want to say I love ? cutters your sweet daughter got you! Oh thank you, Mi Mi! They are darling, aren’t they! I love them! I am trying to be vegan so I replace the butter with vegetable margarine in this recipe (Birds custard powder in a tin is vegan) but even doing this these biscuits are delicious and very easy to make. I have made them twice and about to make a third time. 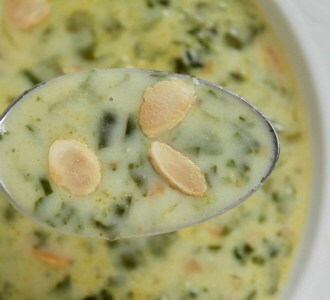 One of my all time favorite recipes of yours! I make them 2 weeks, and just sent an entire batch to London for my in-laws to try! I just came across your recipe and do have a question. I’m checking on the ratio between the ounces and the cup measurements. For instance, when you show 2 ounces you also state a half cup. Wouldn’t it be 4 ounces equals a half cup? Should I follow the ounces in the recipe and ignore the cup equivalents? Oh goodness! So many people have this question. Volume and weight are two totally different measurements. Unfortunately, because most people in the US don’t have scales, I add cups, HOWEVER I prefer and I myself use the weight measurements as it is so much more accurate and precise. Good Morning Christina! Whilst sitting here with my coffee enjoying a lovely custard cream from the batch my husband and I baked up yesterday, I wanted to thank you again for bringing this favorite of his from London back with us to Las Vegas! We’ve talked about making our own for quite a long time and he found your recipe – we had to try it. So simple and so delicious. You are right, that Kerrygold makes them perfect. I’d even eat these bad boys with just the cookie – they are that good. We doubled the cream filling ingredients and he is using that on his Digestives! Thank you so much for letting me (and others) know how much you and your husband enjoyed the cookies/recipe Julie! They look so easy & delish! I think I’ll try them for the next office party. I love cookies! Very much so, on both counts, Mindy! You’ll be the hit of the office, I predict! Hi can you tell me, is the four for this recipe ‘plain’ or ‘self raising’ flour? Looking forward to making these. Hi Suzy, it’s plain flour. Unless stated otherwise, assume it’s plain. I’m fixing the recipe now. Enjoy! Thanks for sharing this recipe!! I understand exactly how you feel, Rosa, and I do the same (Amazon is great)! Let me know how you like them once you’ve made them! I made these yesterday to rave reviews. However I found I had to drizzle a little boiling water into the mix to get it to bind as it was essentially just crumbs prior to that. Could this just mean my butter was a bit cold? Having not mace them before I’m not sure what to consider “normal”. I love your recipe and will make them as soon as my exams are over. I have a question though, why the custard powder in the cookie dough? 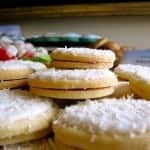 Does it help in the flavour/structure of the cookie? Thank you, Fahmida and good luck on your exams! The custard powder is critical to this recipe as it give it the flavor and the “melt in your mouth” texture, yes! Enjoy, they are delicious! I have made these twice in the last two weeks…they magically disappear! My question is has anyone made them with chocolate buttercream filling? I you have how much cocoa did you add? and did you like them. Yes! I’ve had chocolate buttercream icing that I’ve sandwiched them together with and they’re very tasty, too! Just add a couple of teaspoonfuls of unsweetened cocoa and a little more liquid if necessary. Enjoy! I just made this but with gluten free flour and they turned out fantastic! I just made these this afternoon and between my three teenage kids and my husband they were gone within ten minutes! Think that says it all. They’re lovely. My husband doesn’t even like shop bought custard creams. I do agree that they are not like the custard creams we buy in the shops here in the UK (they’re much better) and that they are more like Viennese whirls but Viennese whirls are not cakes! They are very short biscuits sandwiched with cream and jam. Confusingly though you will find them with the cakes in shops, not with the biscuits. I made these yesterday and they are delicious! Im from the UK, and don’t think they are the same as custard cremes from the shop, as they are more cake like and remind me of Viennese whirls without the jam. But both are tasty so I’ll be making these again! Made these this morning . I think they are better than store bought. I am lucky in Canada that we do get a lot of British products but they do overcharge for them. I am glad I found your site and can make treats that I remember from home. hahaha definitely sharing this with my girlfriends who go crazy over that brit accent! I am the biggest Sorted food fan kinda feel jealous of you! Not a Brit (ex pat Kiwi in the USA), but I LOVE custard creams. Fantastic, gobbled up by ALL the family. Brilliant recipe thank you so much. yay :) will be following this recipe on an upcoming vid. go Christina! Thanks for sharing some great British favs! Oh Christina, you definitely touched a happy nerve here! Pppppp-ick up a Penguin is now going through my head, isn’t that funny? Although not as funny as you carrying packets of HP sauce! That’s hilarious! Now, as for custard creams I remember them well but we didn’t have lovely homemade ones like these. They look absolutely delicious. Pppppick up a Penguin…. I haven’t heard that Penguin advert is AGES!!! I do remember it though. What about “Everyone’s a fruit and nutcase!” for Cadbury’s fruit and nut? Whenever I hear that Tchaikovsky piece, that goes through my head!! haha! Oh, I love having HP Sauce when I go out and hate it when I’ve changed bags and have forgotten my HP!! Do you use all purpose flour or self raising flour? Seems a bit counter-productive to use an import grocery item to make your own import grocery item. Any chance of the recipe for those that know how to make custard? I love the ‘Fat Englishman’! I think you are right, Catherine! :) Isn’t “Fatty” funny? These are SO pretty Christina! They sound delicious too. Christina, these look amazing! They make me want to go pour a glass of ice cold milk and then sit down with 1/2 a dozen! Yum! What a great story! I have bought digestive biscuits before – and HP sauce (after eating it all over Ireland – twice) but have never heard of these cookies. They are lovely! Ooooh! I love anyone who loves HP Sauce-it shows good taste! haha! Ireland doesn’t seem to have the same “sweet tooth” that England and (especially) Scotland has,Tricia, so I’m not sure if they are into Custard Creams there (don’t remember from when I went there). So funny Christina, I’ve been to England quite a few times and never noticed custard cremes. This time my daughter pointed them out to me and explained the different varieties. I loved reading your post. And you’re so right, British chocolate is so… much better than American even in the everyday candy bars. Those look delicious Christina! I was addicted to the very plain digestive biscuits, sometimes venturing into the chocolate dipped ones! I remember these kind of cookies form when my brother lived in Kent. Of course, I was already a huge Cadbury Drinking Chocolate fan, and they pair perfectly with a cup of cocoa! I am going to order the custard powder if it sin’t available at my international market. Are there other uses for it?I will have lots of fun figuring THAT out! Thanks for sharing the recipe! Yes! Cocoa and Custard Creams are awesome (you could have named your blog that, instead-haha!) You can use the custard to make actual custard to eat with desserts when you don’t have time to make the real stuff. They look lovely! And must be delicious! Having spent just a year in London in my twenties I developed many a favorite, and I can’t wait to try these cookies! Yay! I’m sure you will make them look absolutely perfect, Sue! Yes, I was going to mention that custard powder is readily available in the baking/boxed pudding aisle of most Canadian grocery stores. We use it to make the filling in Nanaimo bars, which are also delicious!